Two Generations, an influential selection of artworks by Surrealist master Roberto Matta coupled with the whimsically intricate artworks of his daughter, Federica Matta, will open at Rosenbaum Contemporary, 150 Yamato Road, Boca Raton, Fla., on March 28. The exhibition will remain on view through June 1, and can be viewed during regular gallery hours, Tuesday through Saturday, 10 a.m. to 5 p.m.
With Two Generations Rosenbaum Contemporary has curated a two-generational discourse that theoretically discusses the visual language and conceptual dialogue between a mentor and mentee, and more importantly, the intimate relationship of father and daughter. Two Generations highlights artworks from various decades of Roberto Matta’s career, establishing a deliberate venture to show the continued importance of his visual exploration of internal psychology and the artist’s growth in post-World War II existentialism. This exhibition also illustrates the important role of the “Innerscapes” as visual mappings and metaphorical landscapes of artist’s mind. 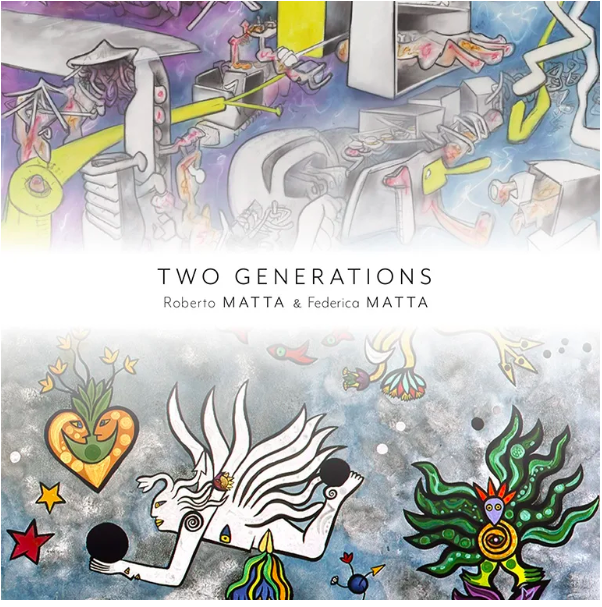 Substantially, Two Generations illustrates why Roberto Matta’s signature aesthetic of blending abstraction, figuration and multi-dimensional spaces into complex, cosmic landscapes has not only achieved global influence—reaching canonical importance, but also portrays an undeniable permeation within the Matta family legacy. In Two Generations, Federica Matta exemplifies her own matured artistic voice, which delivers an irrefutable integrity and momentous relevance to the next generations of contemporaries. Rosenbaum Contemporary fundamentally delivers attestation as to why Federica Matta’s artworks, juxtaposed with her father’s, gives validation to her own personal aesthetic. Mythological creatures, humorously composed narratives, child-like renderings and impulsively designed motifs bring out the artist’s playful temperament as she moves beyond her father’s shadow and brings forth a contemporaneous peculiarity all her own. 150 Yamato Road, Boca Raton, Fla.